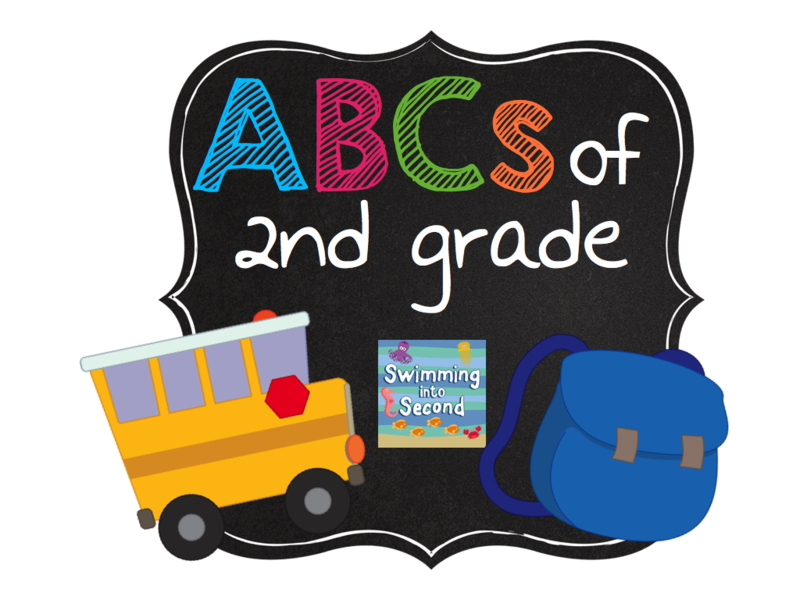 I’m starting a new weekly blog series with some great idea for your classroom. Don’t worry if you don’t teach 2nd grade! You can use many of these ideas in any grade. Today’s letter is A for Accountable Talk. Accountable talk was a big focus in my district last school year. I really had no idea what it was before I was introduced to it last fall. Accountable talk is a way of encouraging communication in your classroom and keeping all kids accountable for listening and speaking. I found that it’s a great way to keep all students on the same topic and have them listen to what other students say. If you want more information about accountable talk, click here, here, or here. 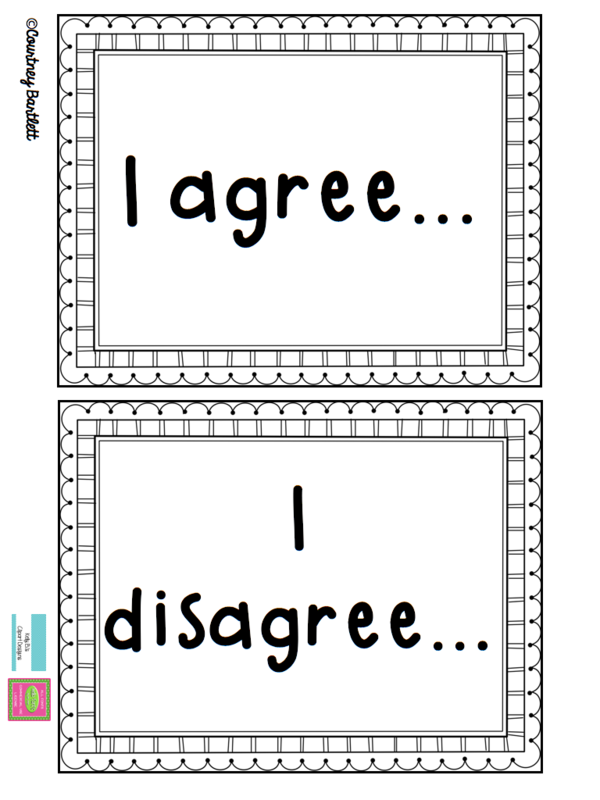 To start using accountable talk, I modeled using the stems “I agree” and “I disagree” when my students were talking. After a while, my students also started using them when they were speaking. When they could have used the stems but didn’t, I pointed out a different way that they could have said the same thing using the stems. During the school year, I introduced a few different stems such as, “I would like to add to what ____________ said.” or “Could you repeat what you just said?” There is nothing more amazing than sitting back and letting student discuss things with little teacher input. You can accountable talk in anything! I started off small and used in during our morning meeting time on the carpet. 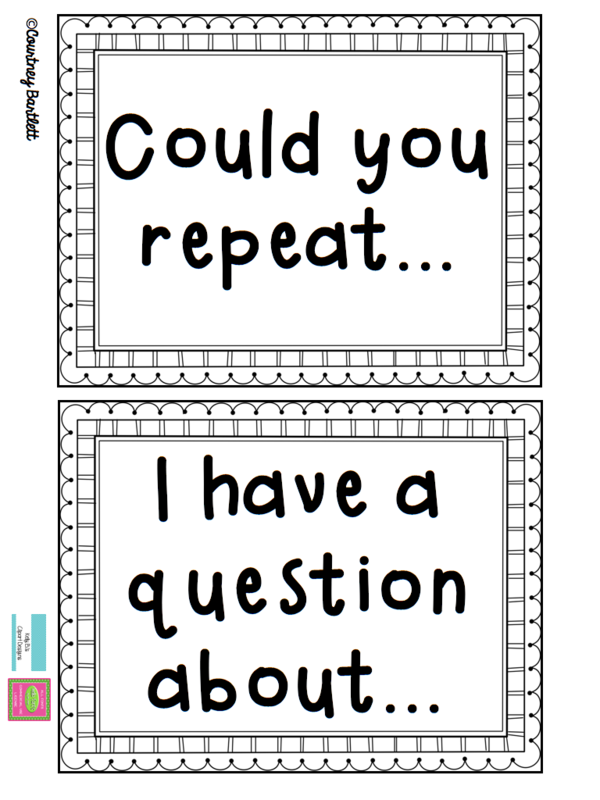 I used Hello Literacy’s Picture of the Day pack to introduce accountable talk to my kiddos. I showed them a different picture each day and we discussed what they could infer from the picture. 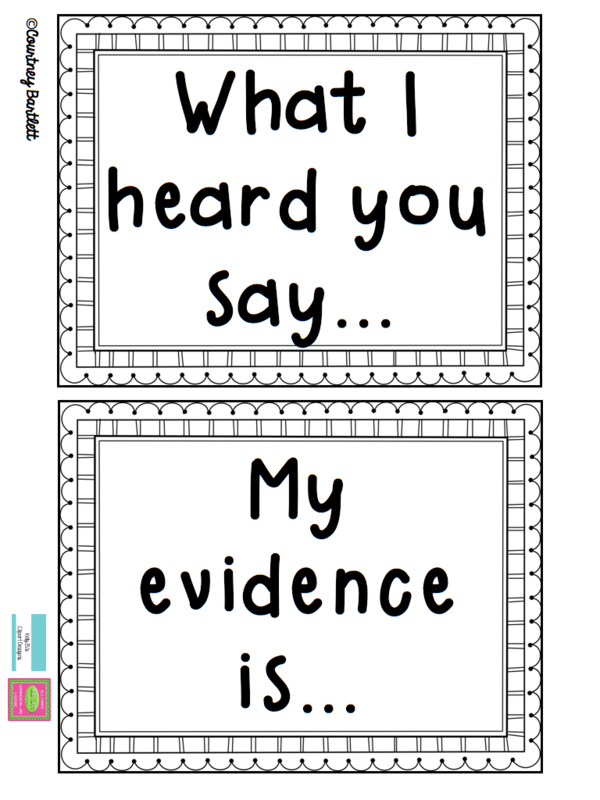 You may find it easiest to use accountable talk in math. Students can agree or disagree with other students in how they solved a problem or their solutions. Students can explain different ways that they came to the same solution. There’s a whole lot more about Accountable Talk but I don’t want to overwhelm you. I think you will find out how amazing it is if you introduce some of the stems in your classroom. I’ve made a freebie for you with some posters featuring the stems. 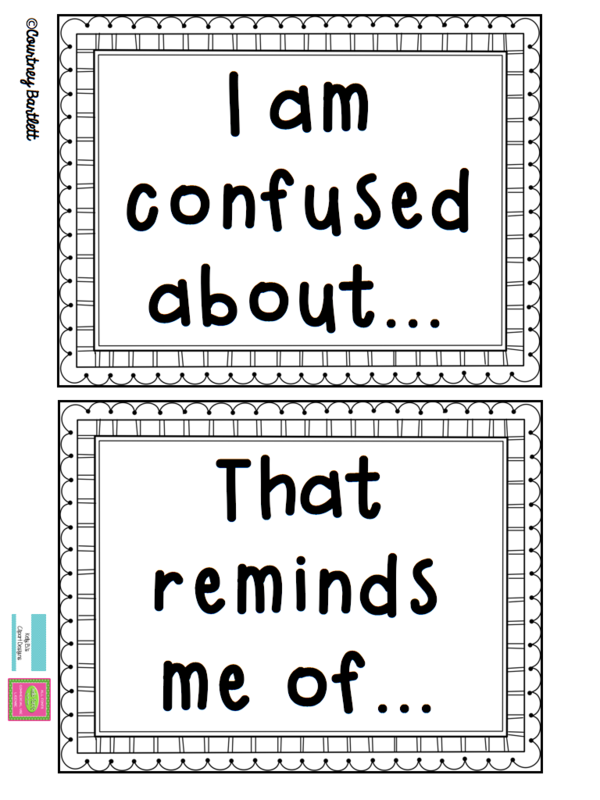 You can print these on any colored paper or cardstock to make it fit with your classroom theme. I’ve also put them all on one sheet so you can hand them out to students. Click on any of the images below to get the freebie. While you are there, don’t forget to leave me some feedback. 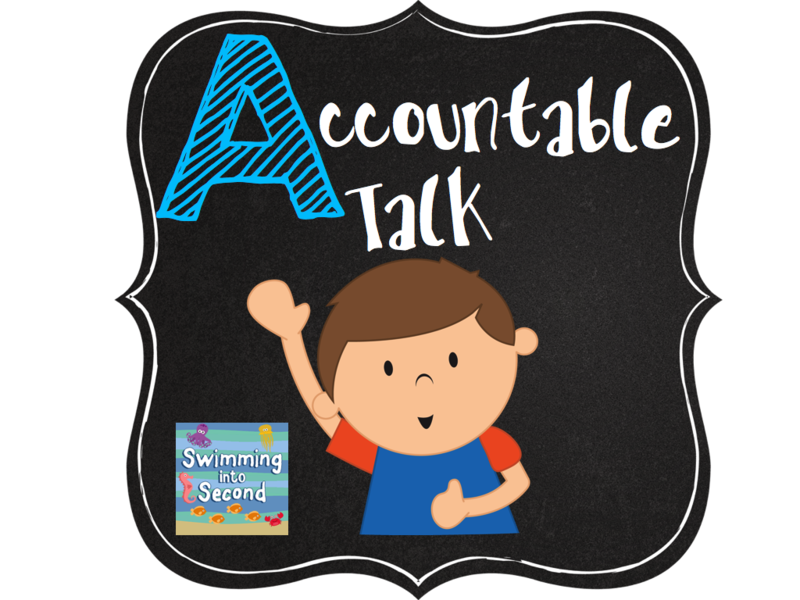 I’ve pinned some ideas I’ve found on Accountable Talk on Pinterest. You can explore my board by clicking below. Follow Courtney’s board Accountable talk on Pinterest. 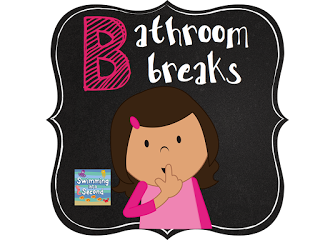 Check out my next post, B is for Bathroom Breaks by clicking below. This is a wonderful way to honorably and without offensive shares one's thoughts! Thanks for posting this! Smiles and stop by anytime! Great post! Our district is starting this work next year, so it's timely for us! Thank you for this post and the links…and your helpful freebie so I can start this in September! I teach an inclusion second grade and always want to encourage student discussions and meaningful conversations. I used something similar to your "all on one page" document this ear and taped it to the students desks so they always had the stems in front of them. Our district calls it "discourse". 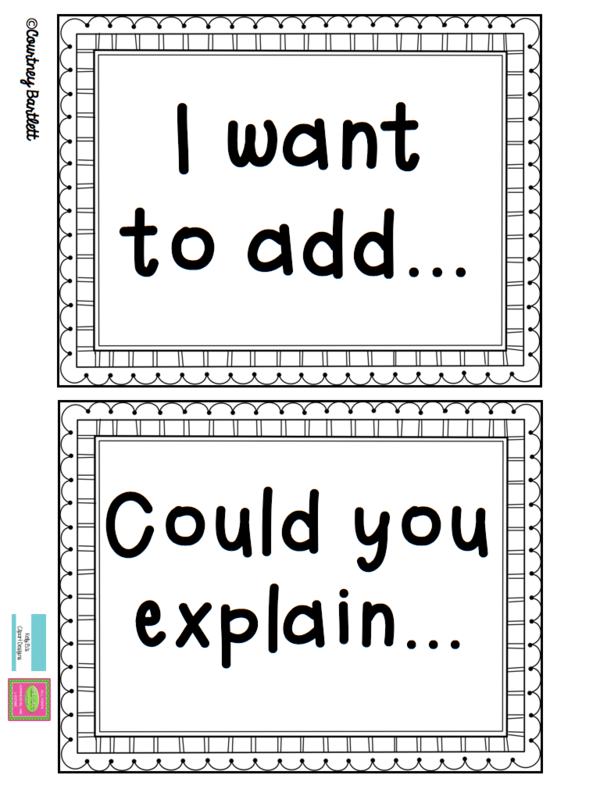 I like the individual stems too and might put them together in a booklet for each student for whole class response! Thanks for the resource! Thank you for sharing these and your wonderful Pinterest board, Courtney! 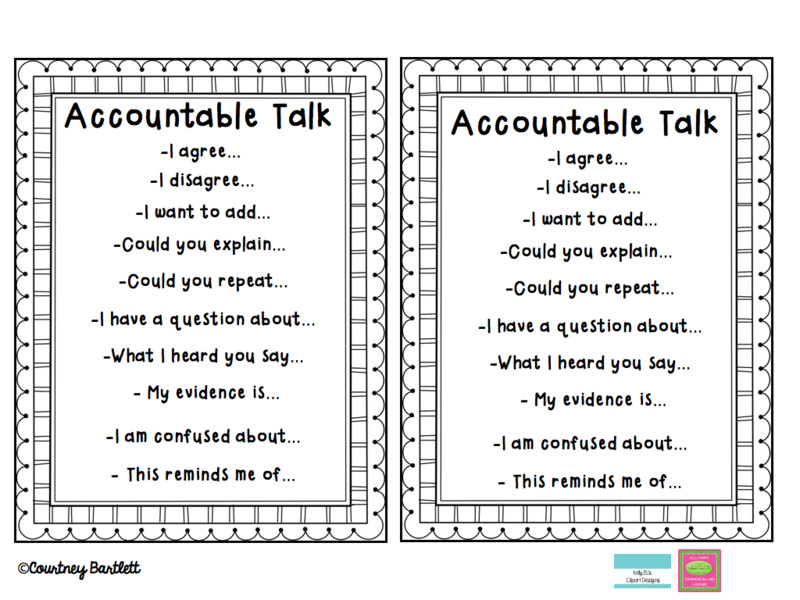 Accountable talk will be a focus for us next year and these are perfect! I found and pinned so many helpful ideas from your board, too! Thank you! I see my bookmarks and posters tagged on your Pin board! LOVE accountable talk. 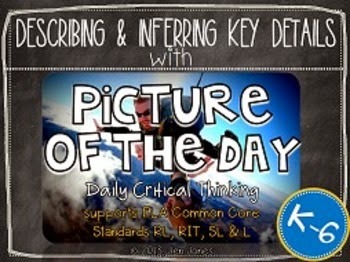 It is such a huge and beneficial instructional tool across all content areas. Great ideas, and I love that you made it work in second grade…sometimes it is a challenge to get them to actually listen to each other, since they are so busy thinking about what they want to say!